At Amethyst Chiropractic Clinic, patients of of all ages and in all levels of physical health come to receive the highest quality care in a welcoming, friendly environment. Our approach to health is simple – we help you get well and stay that way. We address the cause of your problem and not just the symptoms. Chiropractic is a holistic treatment rather than a selection of body parts, so with this in mind we also consider any external, emotional or mental stresses that may be affecting your health. The Amethyst Chiropractic Clinic has been treating patients since 1993 and we are very proud of the fact that most of our patients come to us following a recommendation from family, friends or their GP. The clinic is modern, well equipped and has a comfortable atmosphere. We provide a comprehensive range of chiropractic services and general medical diagnosis, to rule out underlying medical problems, which means that you do not have to visit your GP prior to booking a visit. 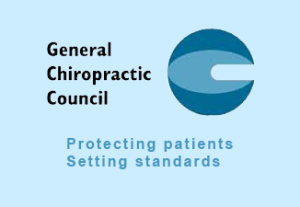 We are registered with the General Chiropractic Council and are members of the British Chiropractic Association. We have completed a minimum of five years professional training, together with additional training in many post graduate courses every year as part of are continued professional development. Our clinic is open 5 days a week, Monday to Friday and we also provide emergency chiropractic treatments outside of normal working hours. Jamie Fraser Nash DC, MRCC, GQHP, Dip.C.Hyp, C.H. Having graduated from the Anglo-European College of Chiropractic in Bournemouth as a Doctor of Chiropractic, Jamie has worked in several Chiropractic clinics across England and Wales.Jamie Fraser-Nash has also gained vast experience working with and observing Chiropractors, Osteopaths and Physiotherapists in the UK and the US. 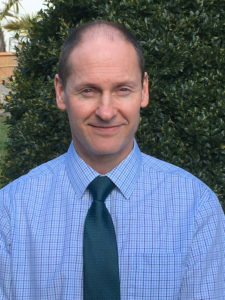 He has been a principal Chiropractic teacher for newly qualified Chiropractors for five years and is particularly passionate about helping to continue efforts to improve safety in clinical Chiropractic practice. Jamie attends many postgraduate courses and seminars every year, not just keeping up to date in Chiropractic and physical health but also for Hypnotherapy and evidence-based care in mental health and well-being. Jamie Fraser-Nash is also a fully qualified and accredited Clinical Hypnotherapist. He is also accredited and registered with The General Hypnotherapy Register (GHR), The General Hypnotherapy Standards Council (GHSC) and The National Guild of Hypnotists (NGH). As a specialist, Jamie is able to use his expertise in Hypnotherapy in conjunction with Cognitive Behaviour Therapy (CBT) and Neuro-Linguistic Programming (NLP) techniques to relax the body and change the mind by forming new, more positive ways of thinking.Jamie’s clinical treatment method is entirely natural, completely free of side-effects and has a wealth of good research evidence to support its effectiveness. He aims to provide professional care in complete confidentiality, to ultimately achieve a positive impact on the lives of patients long after therapy sessions have ended. He practises what he preaches and leads an active lifestyle. He has achieved the First Dan Black Belt Instructor status in the martial art Shorinji Kempo and has competed in football, swimming and cross country teams. He also enjoys mountain biking and also regularly takes part in off-road endurance events.